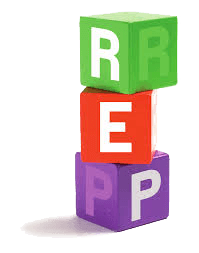 What is EPR – Extended Producer Responsibility? In the context of EPR, manufacturers and distributors of products of their own brands, or importers who market products which generate wastes, are required to assume responsibility, specifically financial responsibility, for the management of these wastes. Although based upon the individual responsibility of the producer, EPR may be assumed by product marketers on an individual or collective basis, through the offices of an environmental organization. As a long-term partner of environmental organizations, the Pena Group undertakes the collection and/or recycling of all types of wastes, delivering the highest possible rate of recycling. 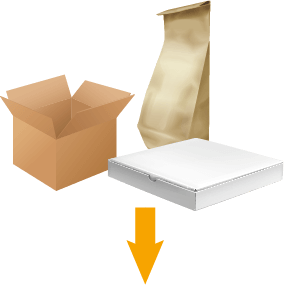 The Pena Group supports environmental organizations whose aim is the reduction of packaging and the use of paper in their operations. 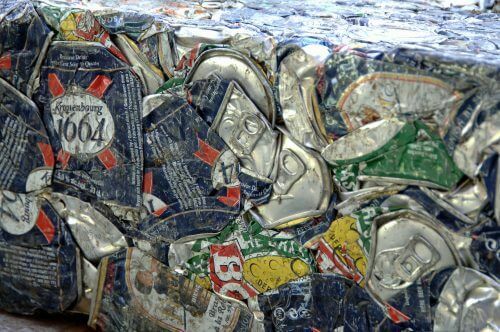 Our approved industrial facilities permit the optimum recycling of household, industrial and public authority packaging, in order to maximize rates of recycling. The Pena Group supports environmental organizations who undertake the recycling of scrap furniture and mattresses. Since October 2018, this initiative has been extended to include end-of-life duvets and pillows. Certain furnishings which have no further practical use can still serve a purpose, whether by way of recovery or recycling. 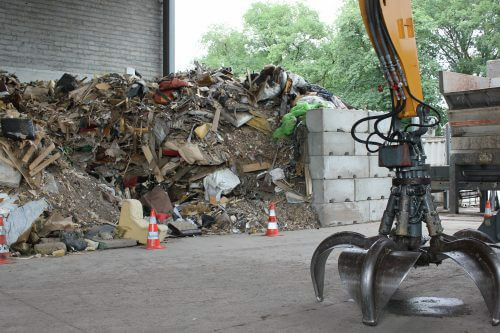 For other items, environmental organizations throughout France are developing solutions for the easy disposal of your scrap furniture (for private individuals and professionals). Furniture represents a source of raw materials. Using its patented technologies, the Pena Group can successfully separate the constituent elements of various furnishings, which are then available for further use: timbers, plastics, metals or substitute fuel can be recovered using our CORIS processing line. 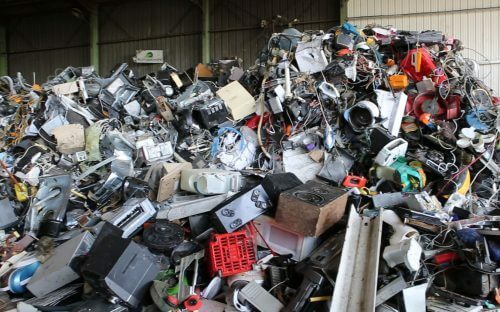 The Pena Group supports environmental organizations who undertake the recycling of WEEE or W3E (waste electrical and electronic equipment). 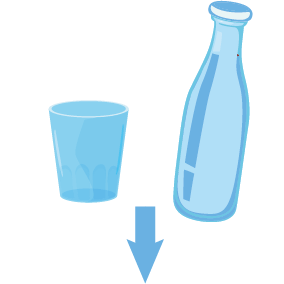 These operations primarily involve the extraction and sorting of metals, for the recovery of those fractions which can then be reconditioned for reuse as raw materials. 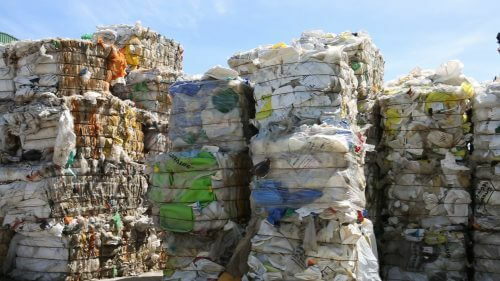 Using our specialized OSIRIS processing chain, the Pena Group recycles 95% of the WEEE which is receives. The Pena Group supports environmental organizations who undertake the reduction of certain chemical wastes generated by private individuals. 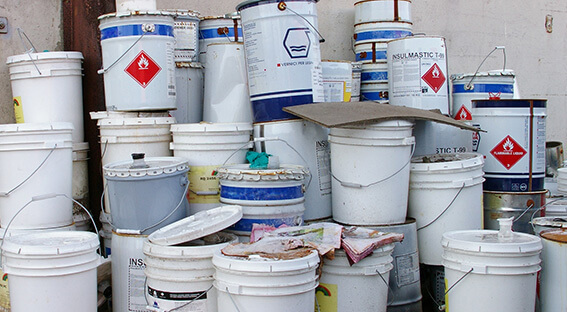 We collect, consolidate and process chemical wastes, in compliance with safety rules and under conditions which are intended to protect the safety of each individual and of the environment. DIY and decoration: paint, varnish, lacquer, rendering, mastic, adhesive, resin, expanding foam, rust inhibiter, white spirit, stripper, solvent, acetone thinners. Vehicle servicing: anti-freeze, oil filters, de-icing and coolant fluids, tar repellent. Specialized products: drain unblocker, ammonia, lime, oxygenated water, acid, oven cleaner, repellents, products for the treatment of materials, specifically timber. Swimming pool maintenance: chlorine and swimming pool disinfectant tablets, pH regulating products. Gardening: non-organic fertilizers, moss control agents, insecticides, herbicides, fungicides. Heating, smoke stacks and barbecues: liquid fuel, fire lighters, stack cleaner, combustible alcohol, sweeping products. The Pena Group supports environmental organizations who undertake the recovery of plant health products. 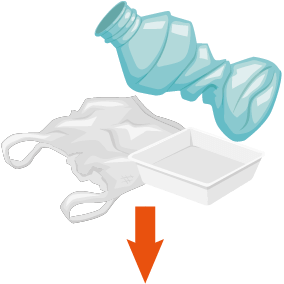 The latter are included in the category of hazardous wastes, and their recovery (collection, transport, etc.) is therefore subject to strict regulations. Whether in liquid, powdered or granulated form, plant health products are chemical products which are intended to preserve or protect crops against parasites or pathogens (insects, fungi, etc.). 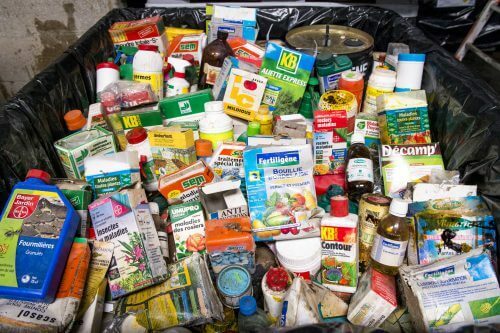 Unused products and their associated packaging constitute hazardous wastes, and the majority are particularly harmful to health and the environment: insecticides, herbicides, fungicides, weed killers, pest control agents, miticides, etc. Whether in the case of unused plant health products, i.e. 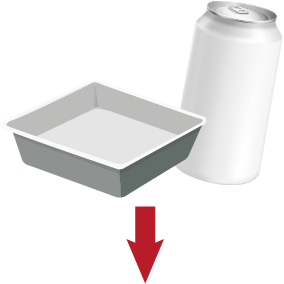 out-of-date or prohibited products, or empty plant health product packaging – contaminated packaging or packaging containing pesticide residues – the disposal of waste pesticides and their packaging in the natural environment, or the burning thereof in the open air, is formally prohibited.